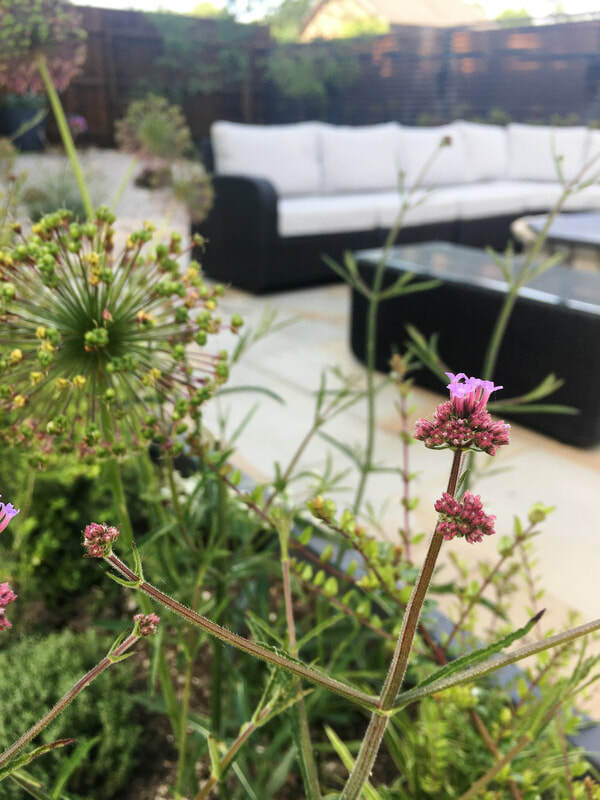 Our clients had recently built a patio and purchased some lovely garden furniture, and wanted to bring that part of the garden together with the rest. 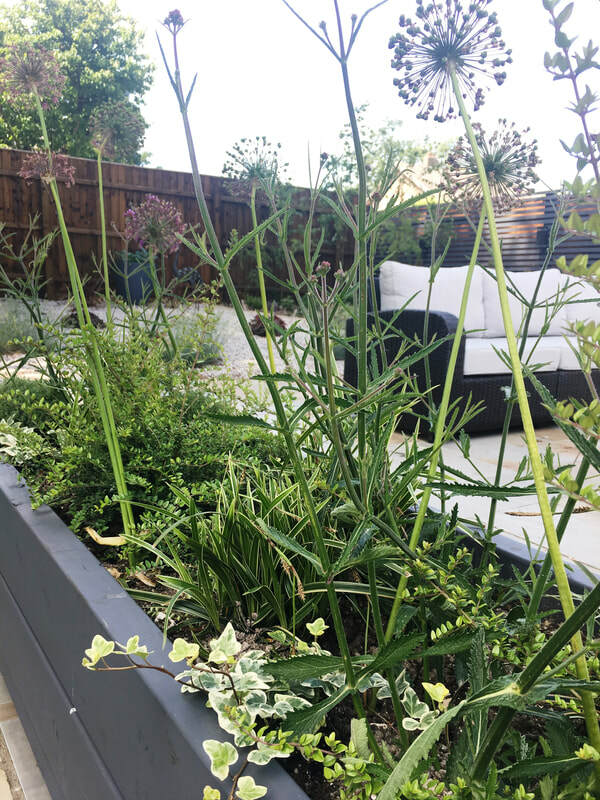 Planting was sparce and only really had one season of interest. 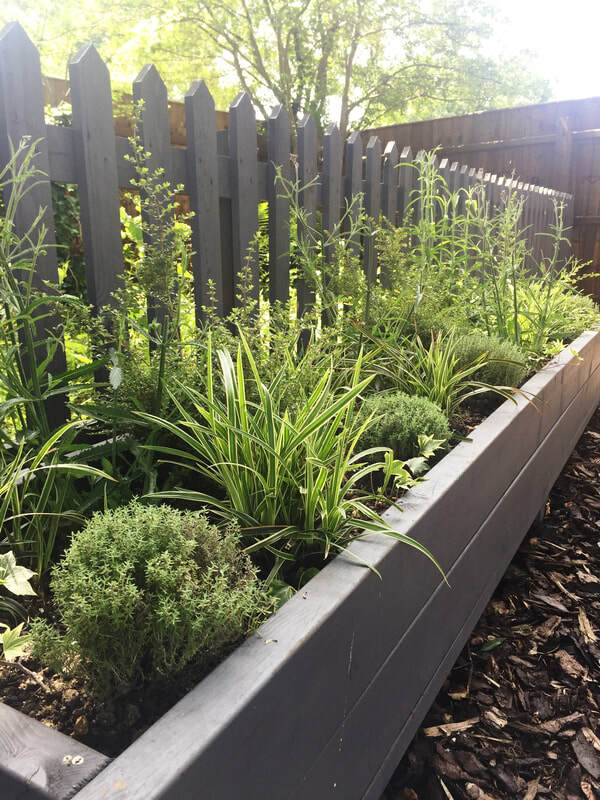 We advised our client to move some existing troughs and paint them to match the new slatted fence that they had installed. 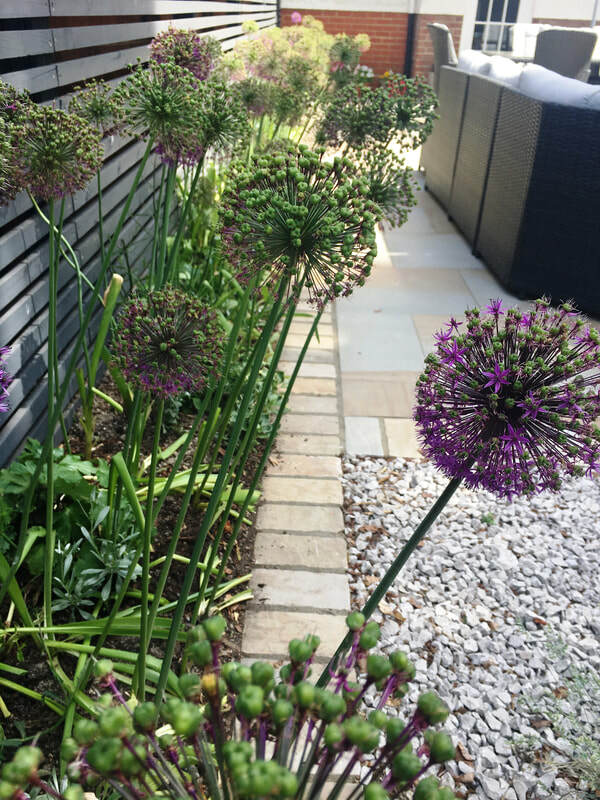 By introducing some year-round structure and texture to the planting, and dividing the alliums between the planting bed and the new troughs, the patio area now feels more cohesive. 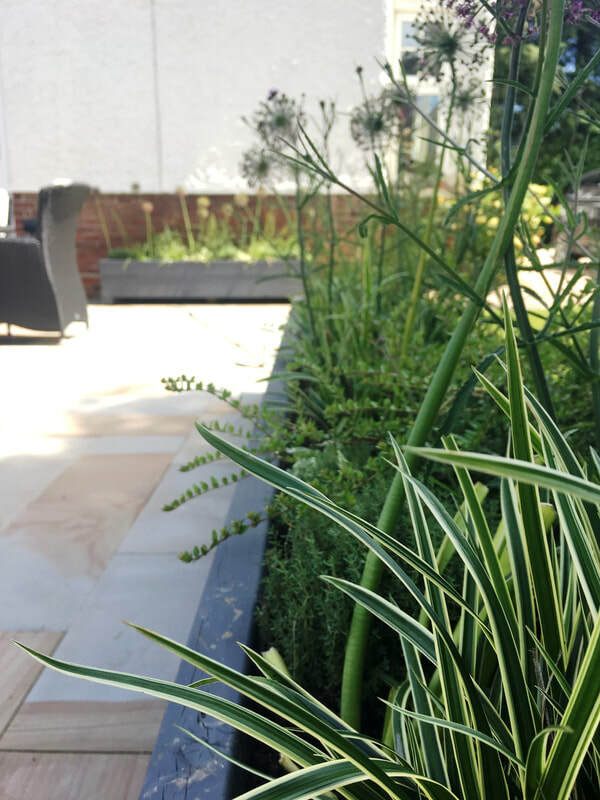 Colour and movement surround the outdoor sofas on all sides, making the space feel more intimate and allowing your eye to be drawn around the rest of the garden, through the planting. "Well we are both grinning like Cheshire cats, every time we look out of the windows! 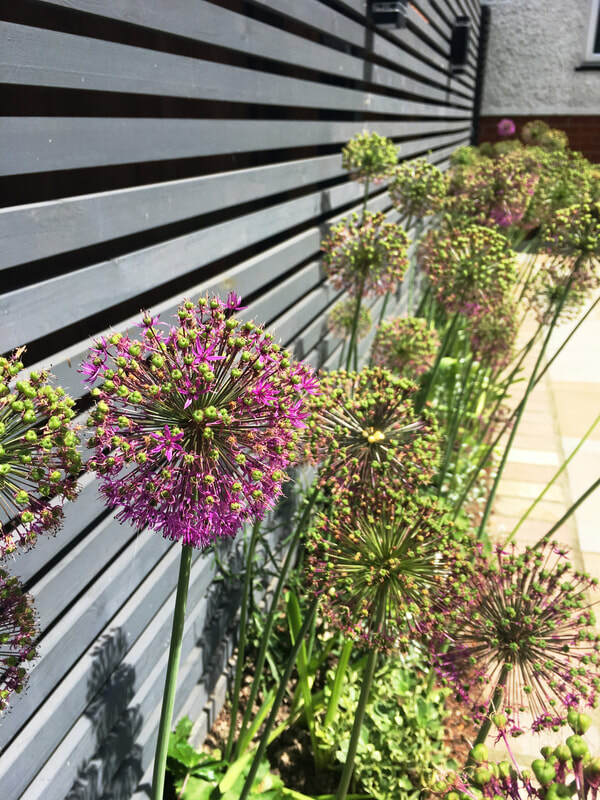 We absolutely love our garden now, so much so, that I spent all morning weeding all the rest of it! Thanks again ladies for such a fabulous job."